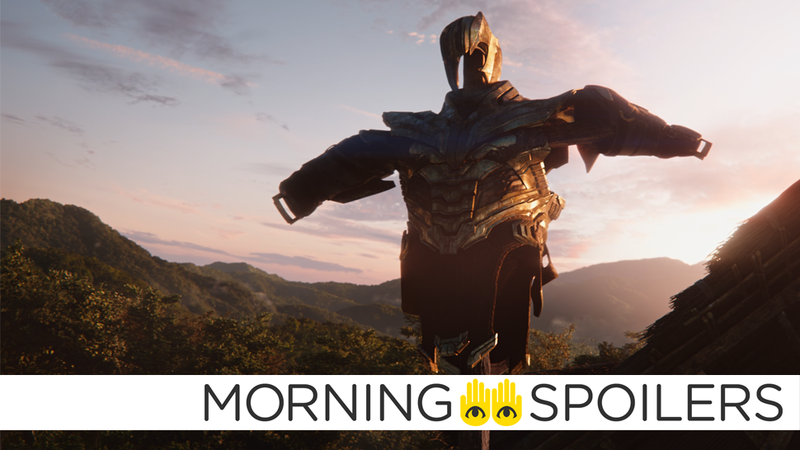 Thanos and a few of Earth’s mightiest could be getting new costumes in Endgame. Spider-Man: Far From Home casts a new friend for Peter Parker. A Bumblebee sequel is already in the works. Netflix wants to revive Unsolved Mysteries. Arrow wants to do its own take on the Birds of Prey. Plus, a new look at Men in Black: International, and what’s to come on Supergirl and Gotham. We’re in the spoilgame now!